Manchester United’s 3-0 victory over Fulham was another case in point as to how good Paul Pogba has gotten under Ole Gunnar Solskjaer. The Frenchman scored twice during the game, first opening the scoring through a tight-angle finish and then netting the winner through a well-placed penalty. Anthony Martial provided the second goal of the night, scoring through a brilliant solo effort that singlehandedly embarrassed the Fulham defence. United were a sight to behold during the night, a blessed relief after the slightly shaky encounters they had against Burnley and Leicester. Pogba was lauded immensely for his antics on the pitch, but this time around, he was also treated exceptionally well for what he did off the pitch. Cameras caught the French midfielder giving his jersey to a little fan who had held up a cardboard placard asking for one. This was a heart-warming gesture, and many fans took to Twitter to highlight the soft side of Pogba. It is interesting to see that a person who is oft-critiqued on the field for being a bit of a loose cannon and not being the most rational, to function so nicely towards a young fan of the club. 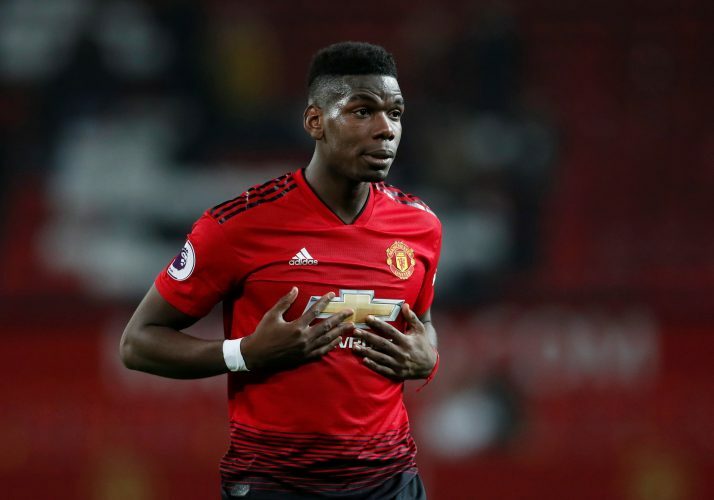 Even before he joined United on an interim role, Solskjaer had earlier revealed in an interview that he’d like to build the team around Pogba. This is precisely what the Norwegian has done at Old Trafford, and the effects are there for all to see. Pogba has finally become the world-class midfielder that the Old Trafford faithful wanted him to be. Now, with PSG being touted as the biggest test of Solskjaer’s management, it will be interesting to see what the Frenchman will do in order to aid a Mancunian victory over the two legs.